Acclaimed documentary filmmaker and Gasland producer Molly Gandour has taken her work to the intensely personal and unblinking Peanut Gallery. Sixteen years after the loss of her older sister, Aimee, who died of leukemia in 1994, Molly realized that she felt disconnected from her past, her childhood and her sister. Like so many other grief-stricken families, she and her parents, Jackson and Mary Jane Gandour, had to move on as best and gracefully as they could, bringing flowers to Aimee’s grave, burying themselves in their work and naming an annual award at the school in honor of Aimee’s memory. In 2010, Molly went back home to Indiana in a proactive effort—and emotional experiment—to excavate the past, where her parents agreed to undergo six weeks of family therapy and to allow Molly to record everything on film. What emerges is Peanut Gallery, which depicts long, present-day scenes of Molly and her family eating dinner together, flipping through scrapbooks, interviewing one another and attending family therapy. The family’s dry interactions are unflinchingly real and undisguised in front of the camera (perhaps because they’re so used to being on camera, thanks to Jackson’s determined and fastidious family video documentation throughout Molly’s childhood). While Mary Jane is quick to verbally elaborate how she feels, Jackson is more self-consciously guarded and stoic—even Molly appears unmoved, detached. With her camera in hand, though, Molly is more emboldened to ask her parents questions about their grief with candor; and like any strong, narrative-driven documentary film, the most telling moments are in those patient, lingering pauses and silences that come after each exchange. Even more intimate and remarkable is the immense wealth of past documentation that Molly unearths from stacked boxes in her family’s basement. Peanut Gallery draws from an abundance of home videos, therapy drawings, family pictures and journal entries. Through these documents, Molly is able to craft a portrait and testament of Aimee as a daughter, a friend and an older sister. Detailed journal entries from both sisters shed light on Molly’s forgotten memories and emotions, compelling her to begin to understand what Aimee might have been going through. Some entries are optimistic, some angry, some bittersweet (“Hi! I’m here! I just felt like writing that.”) and some brutally honest, like one gut-wrenching entry in which Aimee tries desperately to grasp why, after finally finding a bone marrow match, the person would decline to donate. Throughout, Molly’s voiceover and various video journal entries narrate and tie the film together in an unadorned way. She presents her family’s emotional experiment for the viewer to decide how they feel about such similarly tragic and difficult-to-grasp—but not uncommon—issues, like family dynamics, childhood cancer, sibling bereavement, death and loss. For Molly, her mourning felt hidden, forgotten—but at the same time, she feared that her grief was the only thing that could connect her to Aimee. As the film slowly unfolds—and as Molly continues to return back to Indiana for family therapy—she and her parents are slowly able to move forward through her grief. For Molly, the camera prodded her along in this endeavor, encouraging her as an unseen yet omnipresent witness and audience—much like, she eventually realizes, her sister would. Just as the making of the film helped Molly come to her own personal realizations, Peanut Gallery is a powerful, illuminating look into our own efforts to cope with loss. 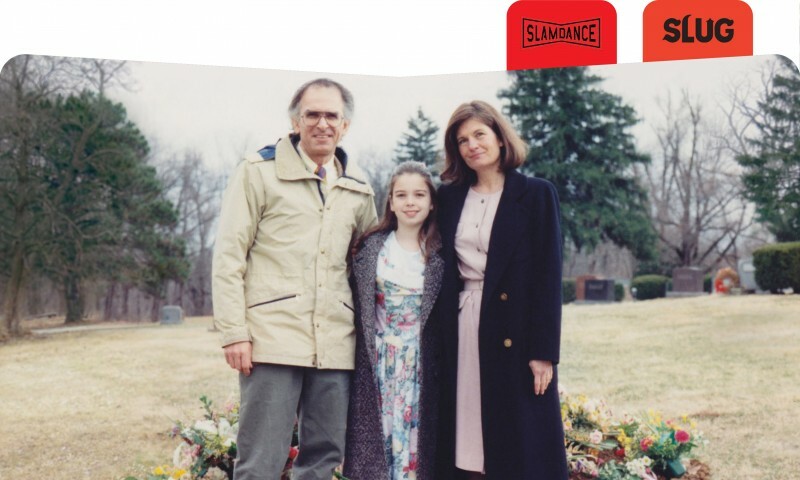 Peanut Gallery will screen at the 22nd Annual Slamdance Film Festival on Jan. 24, 2016 at 12:15 p.m. and Jan. 26, 2016 at 7:30 p.m. For more information about the film, visit peanutgallerydoc.com.